Russian businessman Boris Berezovsky reportedly found dead in U.K.
Self-exiled Russian businessman Boris Berezovsky has been found dead at his home near London, news agencies in Russia have reported. The Interfax news agency cited a relative whom it did not name as saying Berezovsky, 67, had died. Other agencies said he was discovered in the bath of his home on Saturday. Thames Valley police say his death is being treated as unexplained. Police would not directly identify Berezovsky, but when asked Saturday about him by name they read a statement saying they are investigating the death of a 67-year-old man at a property in Ascot, a town 40 kilometres west of London. Condolences were expressed in postings Saturday to the Facebook page of Berezovsky's son-in-law, Egor Schuppe, shortly after the younger man posted a brief entry that only said, "died, Boris Berezovsky." Sought political asylum in U.K.
Berezovsky built his fortune in the years after the fall of the Soviet Union when the new Russian leadership was selling off state enterprises and he became part of then-president Boris Yeltsin's inner circle. He also played a key role in the rise of Yeltsin's successor, Vladimir Putin, but later fell out of favor with the new leader and fled to Britain to seek political asylum in the early 2000s. After coming into power, the Russian president effectively made a pact: the oligarchs could keep their money if they didn't challenge him politically. Those who refused found themselves in dire circumstances. Some were imprisoned — like the former Yukos Oil chief Mikhail Khodorkovsky — while others, like Berezovsky, fled. Assets of these pariah businessmen, meanwhile, were acquired by state corporations or co-operative tycoons, often at bargain prices. In the U.K., Berezovsky allied himself with an array of prominent Kremlin critics. Among them was ex-KGB agent Alexander Litvinenko, who fled Russia with Berezovsky's help after accusing officials there of plotting to assassinate political opponents. Both Lugovoi and the Kremlin denied the accusations, with the former instead claiming that Berezovsky — whom Russia consistently sought to extradite on a wide variety of criminal charges — engineered his friend's death as a way of embarrassing the Kremlin and buttressing his refugee status. Berezovsky, who considered Litvinenko a close friend, consistently denied the allegations. In 2010, he won a libel case against Kremlin-owned broadcaster All-Russian State Television and Radio Broadcasting, which aired a show in which it was suggested he was behind the former agent's poisoning. Berezovsky recently has made headlines for costly legal battles, which have dealt serious blows to his finances. Last year, the exiled businessman was ordered to pay £35 million in legal costs to fellow Russian Roman Abramovich after losing a multimillion-dollar legal battle against the billionaire owner of Chelsea Football Club. 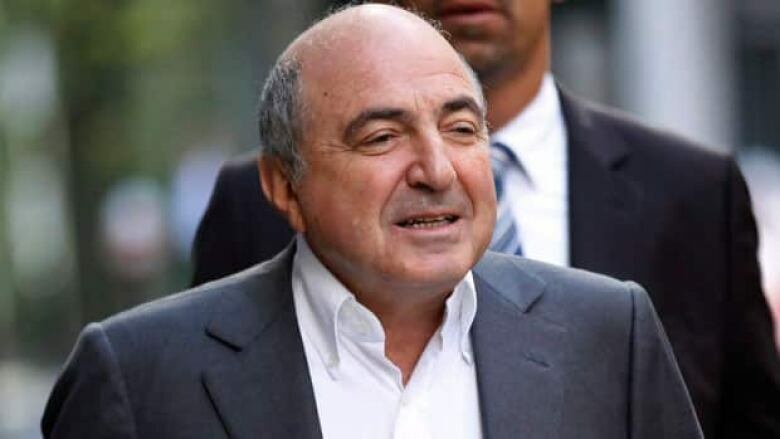 Berezovsky had claimed that Abramovich cheated him out of his stakes in the oil group Sibneft, arguing that he blackmailed him into selling the stakes vastly beneath their true worth after he lost Putin's good graces. But a judge threw out the case in August, ruling that Berezovsky was a dishonest and unreliable witness. It also recently emerged that Berezosky ran up legal bills totaling more than £250,000 in a case against his former partner, Elena Gorbunova, with whom he had two children and who claimed the businessman owed her millions. The Russian president's spokesman, Dmitry Peskov, said in a telephone interview on state television that Berezovsky had sent a letter to Putin about two months ago asking to be allowed to return to Russia. In the letter, Berezovsky acknowledged having made many mistakes, Peskov said.